entry to the guest room. 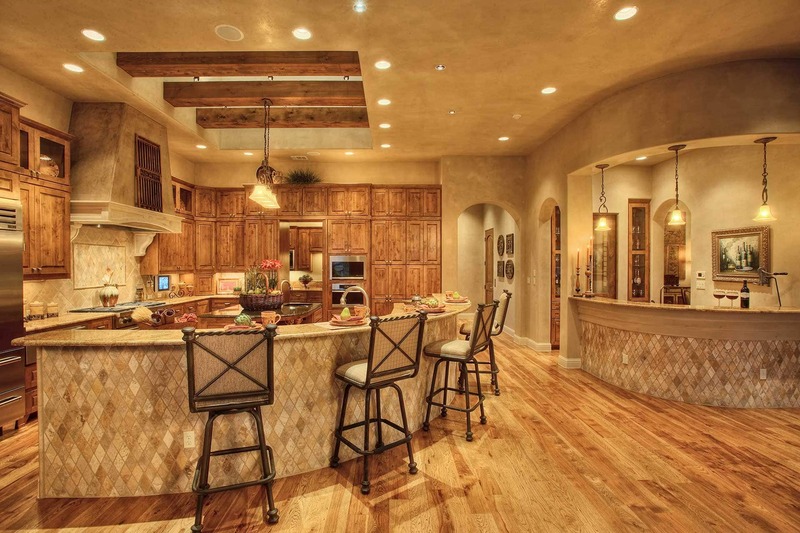 The pop-up ceiling treatment featuring wood beams adds to the richness of this kitchen. outdoor cooking area and numerous sitting and dining areas make this an ideal environment for entertaining. backsplash to the faux-finished walls and knotty alder cabinets with a hidden door concealing a butlers kitchen. and fixtures. This kitchen brings together a tasteful mix of traditional and contemporary for a one-of-a-kind look. surround and our signature 16-foot receding glass wall that creates a seamless transition from indoor to outdoor living spaces. kitchen and bar, dining area, sitting area that opens to indoor family room, and a semi-private patio off the master bedroom. treatment that provides a focal accent for the room and a rich pecan wood floor that finishes the room elegantly. enclosed tub features a shower spout from the ceiling and faux windows to match stained glass window. a spacious pantry, and an open furniture island with contrasting granite top that ties the light and dark colors together. a warm media room with professional-grade bar to make this the perfect place for watching the game on one or all five TVs. open and covered outdoor living areas lead seamlessly through recessing glass doors to the indoor living areas. warm and inviting kitchen. Windows above cabinets bring in natural light and the large island provides a great preparation area. cove lighting and faux finish. 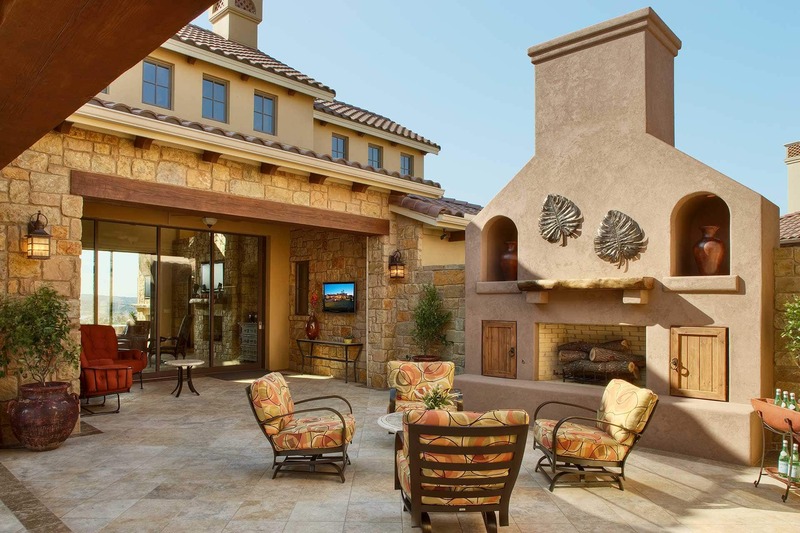 Three double-French doors open to the outdoor living area and provide a breath-taking view. pots make pleasant fountains and planters, which line the stepping stone path through a gravel garden. While every home we build is special, the images collected here highlight design elements, features and benefits that make each Sterling Custom Home unique.